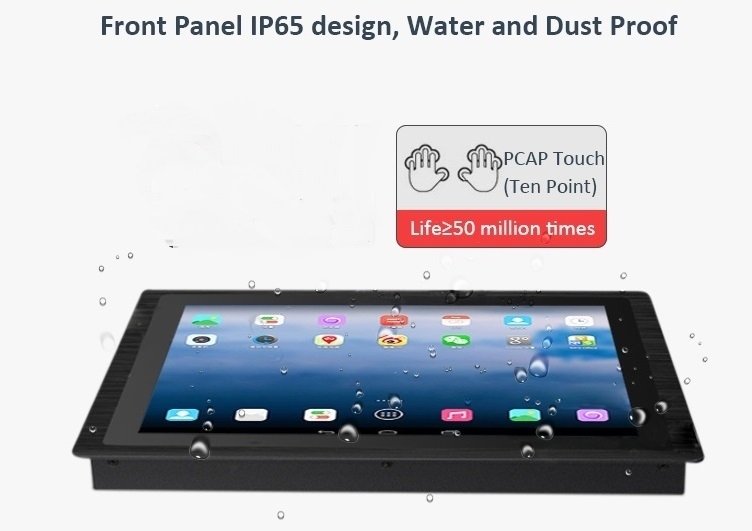 This 7" IP65 (front panel only) rated all-in-one Android industrial panel PC / HMI budget priced is designed for use in harsh environments prone to dust and water and is ideal for Internet of Things (IoT), M2M, HMI, SCADA, or MES applications. The unit supports an optional sunlight readable screen of 1000 nits with a IP65 (front panel only) making it suitable for outdoor kiosks and information display systems, budiling automation, transportation scheduling, multimedia advertising, industrial control, hospital display and facility management. 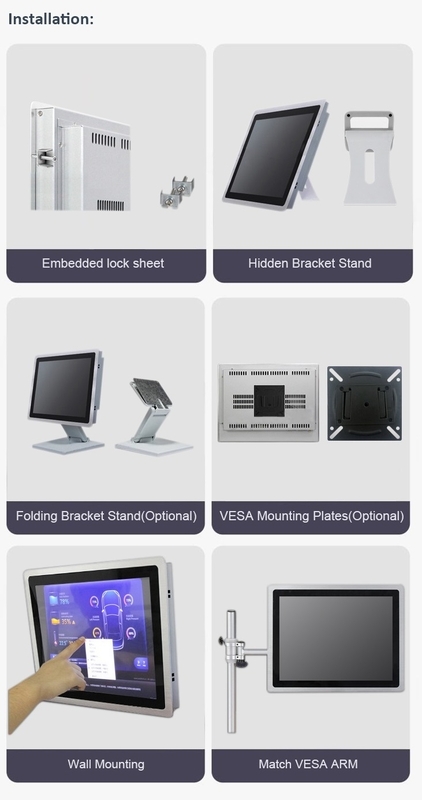 a) mounting options: Vesa, panel mount and clips that allow for wall, desk or mounting in enclosures. 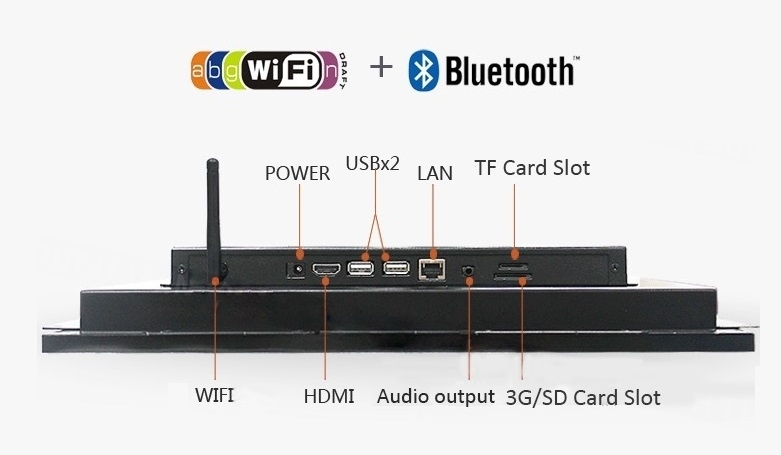 The unit features a powerful 1.6 quad core ARM based CPU with 2GB of RAM delivering optimal performance for demanding applications with a low power foot print. Besides 7", larger size displays including wide angle displays in sizes of 10", 12", 15", 17" and 22" are available. The units can also be customized for specific applications including addition of PoE, NFC/RFID readers, finger print scanner and bar code readers. This Android panel pc can be mount from the front of wall, fixed with lock sheet and screws. Screwed with Fixed bracket, It’s can also be easily hung on the wall, also available for 75mm / 100mm VESA standard mount. Contact us for volume discounts and customizable options.